The Geekbench results are indeed skewed by AES encryption. The author claimed AES was the only benchmark where they use hardware acceleration when available. There has been a debate on fixing the weighting or to place hardware accelerated benchmarks in a separate category to avoid skewing the results. So I'm hoping a future version will fix this. I'd agree with the tweaks you suggest: (improved memory controller and prefetcher, doubling of L2, larger branch predictor tables). There is also scope for a wider CPU. Obviously the most simple-minded widening of a CPU substantially increases power, but there are ways to limit the extra power without compromising performance too much, if you are willing to spend the transistors. I think Apple is not just willing to spend the transistors, but will have them available to spend once they ditch 32-bit compatibility. At that point they can add a fourth decoder, use POWER style blocking of instructions to reduce retirement costs, and add whatever extra pipes make sense. The most useful improvement (in my experience) would be to up the L1 from being able to handle one load+store cycle to two loads+ one store per cycle, but I don't know what the power cost of that is --- may be too high. On the topic of minor tweaks, do we know what the page size used by iOS is? If they go from 4K to 16K and/or add support for large pages, they could get a 10% of so speed boost just from better TLB coverage. "Now, I will agree that this does prove that if Apple really wanted to, they could build something to compete with Haswell in terms of raw throughput." I agree with your point, but I think we should consider what an astonishing statement this is. 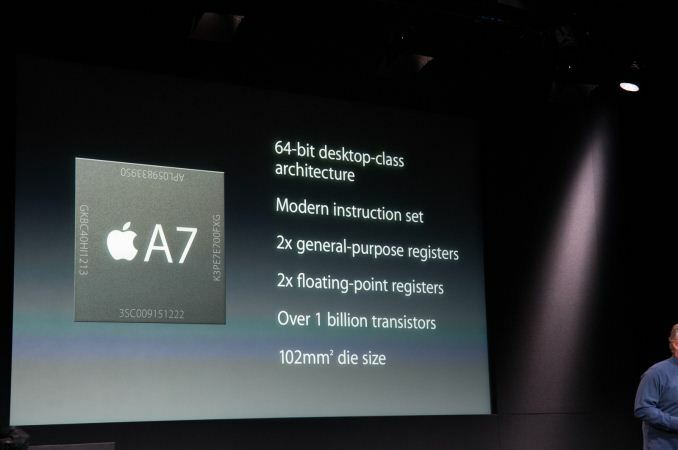 Two years ago Apple wasn't selling it's own CPU. They burst onto the scene and with their SECOND device they're at an IPC and a performance/watt that equals Intel! Equals THE competitor in this space, the guys who are using the best process on earth. If you don't consider that astonishing, you don't understand what has happened here. (And once again I'd make my pitch that THIS shows what Intel's fatal flaw is. The problem with x86 is not that it adds area to a design, or that it slows it down --- though it does both. The problem is that it makes design so damn complex that you're constantly lagging; and you're terrified of making large changes because you might screw up. Apple, saddled with only the much smaller ARM overhead, has been vastly more nimble than Intel. @name99: It is very astonishing indeed. Then again, a high profile company like Apple has no problem attracting some of the best talent via compensation and prestige. They've still got quite a long way to match Haswell, in any case. But the throughput is technically there to rival Intel if they wanted to. 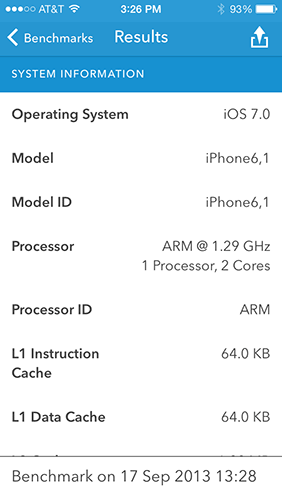 I would hope that Haswell contains a much more advanced branch predictor and prefetcher than what Apple has, but you never know. My computer architecture professor always said that everything in computer architecture has already been discovered. The question now is when will it be advantageous to spend the transistors to implement the most complicated designs. How many crows did you stuff down after claiming BT would be slower than A15 and even A12? Remember posting this about integer performance? "Silverthorne < A7 < A9 < A9R4 < Silvermont < A12 < Bobcat < A15 < Jaguar"
BT has indeed far lower IPC than A15 just like I posted - pretty much all benchmark results confirm that. On Geekbench 3 A15 is 23-25% faster clock for clock on integer and FP. Cherry picking a single benchmark which is notoriously inaccurate at comparisons across platforms/architectures doesn't make you "right", it just makes you look like more of a troll. Bay Trail has better integer performance than Jaguar (at near identical base clocks), so by your own ranking above it *has* to be faster than A12 and A15. You show up in every ARM article spouting the same drivel over and over again, yet you were mysteriously absent in the Bay Trail performance preview. Here's the link if you want to try to find a way to spin more FUD.